Contact our experienced attorneys at the Law Offices of J. Jeffrey Herman to get a free consultation about your case and learn more about your rights. Call our Ventura County car accident attorney at 805-983-2344 or fill out this contact form for a free case evaluation. Posted in Car Accident Attorney on Friday, Mar 09, 2018. You may have heard that you should waste no time after a car crash… But if you have recently been in a motor vehicle accident and it is your first time handling a car accident claim, stop for a second, make yourself a cup of tea, and read this article. And do not forget to breathe. Millions of Americans get into motor vehicle collisions every year. It is safe to assume that the vast majority of them have no clue what to do after a car accident. That is how so many people in our country make terrible mistakes when seeking compensation for their injuries and damages (and get zero dollars, or half of what they expected/deserved as a result). Today, we brought our Ventura County car accident attorney to spell out the most common mistakes people make after road accidents. Not calling paramedics and the police. You have been taught from your childhood that in case of any emergency, always call the police. And if you or anyone else has been injured, call paramedics and seek medical attention. 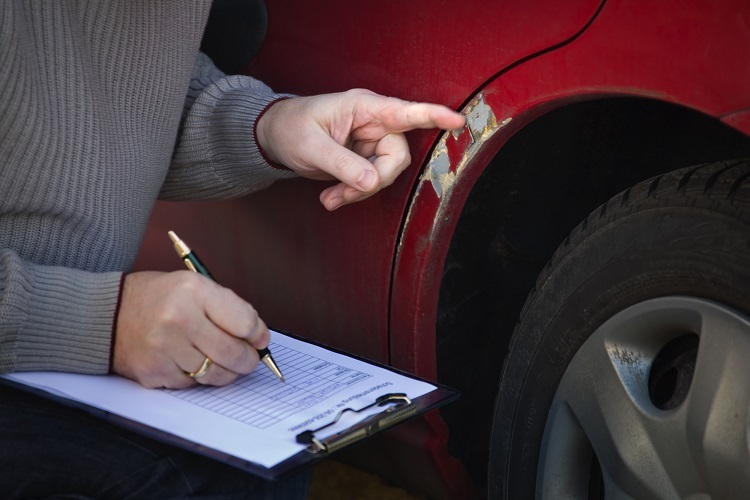 Unfortunately, many people overlook the importance of calling the cops and medical professionals on the scene of a car accident and end up struggling to prove their claim without a police report and valid documented proof of their injuries. Admitting guilt. Accidentally and unwittingly admitting fault at the scene of a car crash is one of the most common reasons why people in Ventura, Santa Barbara, Oxnard and elsewhere in California are unsuccessful at being awarded compensation. You see, California has very strict laws when it comes to a fault and how it is determined between the parties involved in an accident. So making any statements or comments that make you look guilty (such as “I am so sorry”) is a huge mistake. Not exchanging insurance information. Do not make the mistake that hundreds of thousands of American make every single year (and fail to get compensated for their injuries as a result). Do exchange insurance information with all parties involved in a car crash. You see, agreeing between yourselves with the at-fault driver may sound like a great idea, but it is not always the best option from a legal standpoint. So always write down the other driver’s contact and insurance info. And do not forget about the witnesses: exchange contact information with them, too. Trusting your insurance company. Trusting your insurance company or anyone affiliated with your insurer – be it an adjuster, agent or someone else – could cost you your compensation. Insurance companies in California have gotten very crafty over the years, which is how they employ unfair insurance claim practices and find ways to minimize settlement amounts or avoid paying anything at all. That is why it is vital to be represented by a Ventura car accident lawyer from the Law Offices of J. Jeffrey Herman to avoid making mistakes and putting your compensation (hence, health and livelihood) at stake. Not knowing your rights. Most people in California have no idea what are their rights after a car accident are. They are unaware of what types of damages they can recover as part of their car crash claim and do not know what laws are there to hold the at-fault driver and insurance company liable for injuries and damages. By having a motor vehicle accident attorney by your side, on the other hand, you can significantly maximize the value of your claim and take into account even the tiniest details of your case to ensure that neither the motorist nor his insurance company is successful at evading responsibility. Contact our experienced attorneys at the Law Offices of J. Jeffrey Herman to get a free consultation about your case and learn more about your rights. Call our Ventura offices at 805-983-2344 or fill out this contact form for a free case evaluation.